Toucans, flamingos and pineapples tell you this topper is all about the tropics. 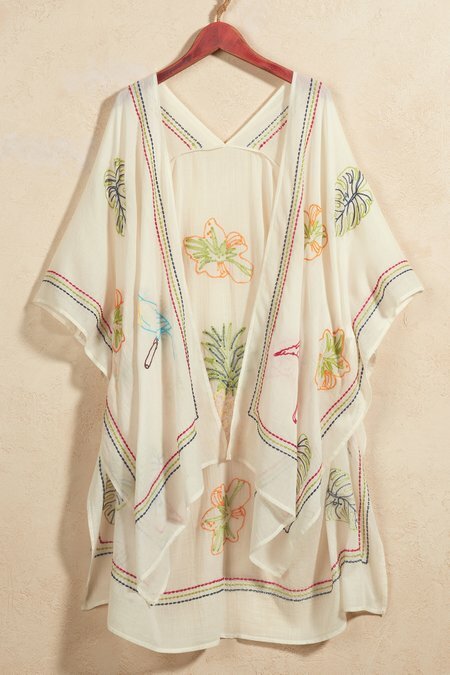 Colorful hand embroidery adds artisanal texture to breezy-soft cotton gauze. With all-around borders and fringed edges, this open front style is perfect at an island beach or a backyard pool.